Kerry Hinton, 43, of Lakewood, Colorado fills out her ballot at the Jefferson County Fairgrounds on November 8, 2016 in Golden, Colorado. 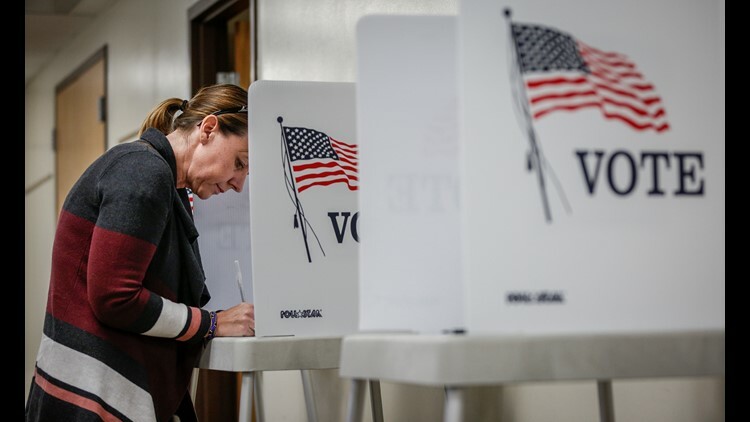 Some polling places in Buffalo ran out of democratic ballots during the primary. BUFFALO, NY-- Some polling places in Buffalo ran out of democratic ballots during the primary. 2 On Your Side received a call from a viewer who tried to vote at North Park Academy in North Buffalo, but was told the location ran out of the democratic ballots. We spoke to Erie County Democratic Election Commissioner Jeremy Zellner who confirmed some locations ran out of ballots. But he did say they are on their way and are asking voters to wait as long as they can. Erie County Executive Mark Poloncarz tweeted earlier that turnout has been good and some places were running low of ballots. Turnout is generally good in Erie County, much better than a usual Primary Day and picked up after 2 pm. Multiple reports of some election precincts running low on ballots so @ErieCountyNY Board of Elections has crews delivering more ballots to precincts that request them.